Sothys is the name ancient Egyptians gave to the brightest star in the sky. This star symbolized radiant, eternal beauty, which is what Sothys products strive to achieve with every formula they produce. Sothys is dedicated to using only the highest quality of botanicals, essential oils and nutrients that achieve desired results while protecting the skin. 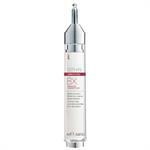 DrSkinSpa.com is an Authorized Retailer of Sothys. All Products are Guaranteed Authentic & Fresh. To create patented skincare formulas for Sothys cream, the Sothys team of biochemists, scientists, pharmacists, and physicists work with master estheticians to create unique formulations producing superior performance. Battling wrinkles, fine lines, acne, and rosacea, along with skin brighteners and moisturizers, Sothys offers a full-range selection for choosing the right Sothys cream or Sothys serum to meet individual needs. 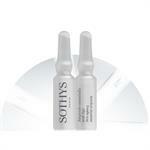 Sothys Serum Secrets Eye Contour Care reduces wrinkles around the eyes with high technology ingredients. 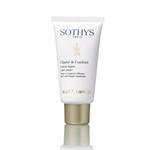 Sothys Serum Secrets Intense Lip Care nourishes, moisturizes, and protects lips from the elements and fights wrinkles. 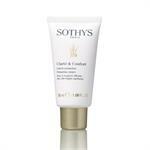 Sothys Cream Absorbant Mask absorbs oils which cause acne and blemishes and cleanses to produce clean, smooth skin. It also works as a skin brightener and evens skin tone. For the man, Sothys Products Homme line is created specifically for men to detoxify and energize the male skin. It is based on three steps to cleanse, shave, and protect. The unique ingredient to the Sothys Products Homme line is volcanic mineral rock which removes toxins and impurities in the skin to give a younger, smoother look. 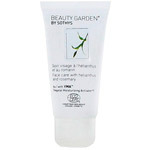 “Along with premium anti-aging products, Sothys offers a fantastic line of organic skincare including a natural Sothys cream and Sothys serum comprised of ingredients including cherry buds, plant glycerin, rosemary oils, sunflower oils, and many more natural botanicals to keep skin healthy, safe and younger looking,” added Goodyear. 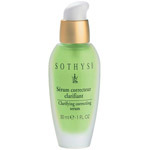 Sothys cream, Sothys serum, and other Sothys products can be seen in popular magazines such as US Magazine, and trade magazines including SKIN INC and American Spa. 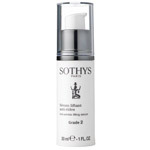 Sothys has been providing high quality skincare products to the general public since 1946, when the company launched its first concentrated serum. The philosophy of Sothys is to combine top quality ingredients and scientific innovation to produce formulas that get results. 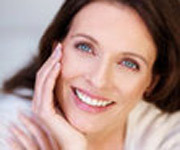 Proper cleansing and preparation of the skin is emphasized to reap the greatest benefit from Sothys treatment products. 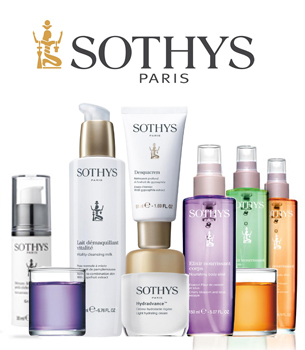 The Sothys products line is an extensive one, with cleansers, moisturizers and treatment formulas designed for a variety of skin types and needs. The company got its start more than 60 years ago, with a professional brand used in high-end institutes, spas and home care. Professional formulas are designed to be used with massage techniques to produce the best results. 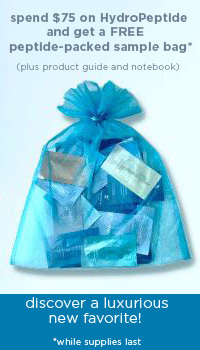 Items for home care are also offered to give customers the ability to continue the results of their spa treatments over a longer period of time. Sothys is not just about producing high quality products; it also offers training programs that educate more than 1,200 professional beauticians every year. In addition to teaching application techniques for the Sothys products, massage techniques based on Sothys unique methodology known as Digi-Esthetique are also taught. Sothys is dedicated to using only the highest quality of botanicals, essential oils and nutrients that achieve desired results while protecting the skin. The textures and scents of the formulas make users feel as though they are receiving a spa treatment every time they apply one of the Sothys Cream. Anti-aging formulas incorporate proven ingredients like peptides and hyaluronic acid that hydrate skin from the inside out and promote collagen production for smoother, younger skin. The corrective line of Sothys products includes marine extracts and antioxidants that provide health and vitality to the skin while targeting a variety of specific skin issues. The Sothys product line is broken down on the company website by a variety of categories to help consumers find the specific formulas for their needs quickly and easily. Because Sothys believes that properly cleansed skin responds much better to treatment, there is an emphasis on highly effective cleansers, exfoliators and moisturizer to address every skin type. Deep cleansing products incorporate astringents and clarifying substances that effectively eliminate all impurities, while the standard cleanser uses soothing ingredients like Shea butter and sweet almond oil for a gentle cleansing that leaves skin soft and smooth. Sothys products are also targeted to maintain skin that has been properly treated, moisturize dry skin and treat complexions with very specific concerns. There is also a skincare line designed just for men. The commitment to quality that Sothys has notoriously adhered to has resulted in many satisfied consumers who enjoy fresher, more radiant skin. Ordered on a Wednesday morning from CA...arrived in Cleveland on that Friday morning! Your super fast shipping will have me ordering again! Thank you!